Not the Johnny Cash version but my backyard version. It is also not a true orange but rather it is a cross between a lemon and a mandarin or common orange, native to China, a Meyer Lemon. Today is January 26th and my tree is blooming. If you are not familiar with Meyer Lemons, buy a few and enjoy the difference. I saw a phrase recently that said, ” If life gives you Meyer Lemons, life is sweet.” Very true. The scent from the blossoms are truly intoxicating. Case in point, last week I met with a couple that will be hosting a couple of my beehives. While waiting for the husband to arrive I was offered a glass of iced tea with a slice of lemon. As soon as my nose moved over the glass I knew it was a Meyer Lemon. The scent is sweet and unique! Once the husband arrived we wandered his garden area to select a good hive site. 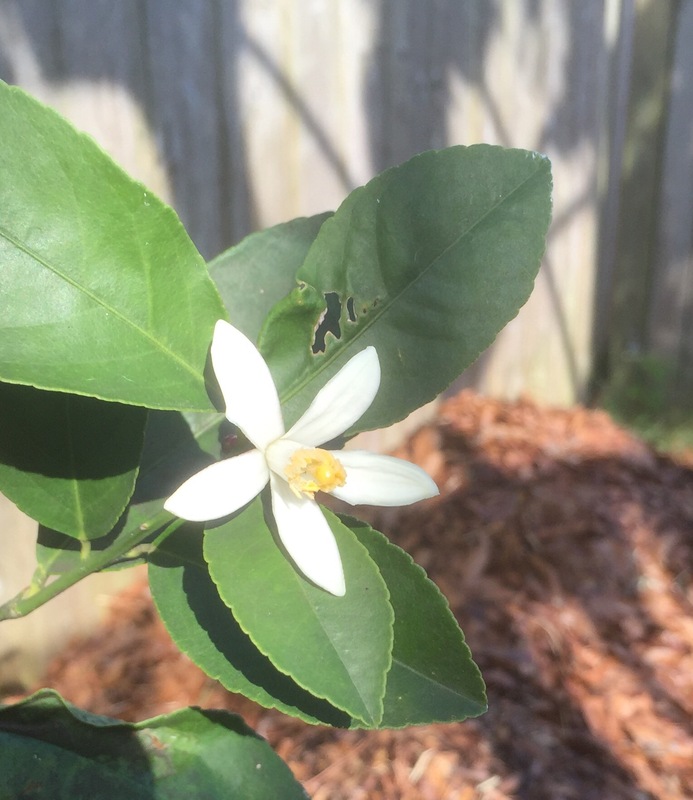 He has several citrus trees, including a very nice sized Meyer Lemon. His tree was showing buds and we both agreed that it is a bit early. I shared with him my memories of late night motorcycle rides down Sunset Blvd. from UCLA to the beach. The early spring night air was filled filled with a heavenly citrus blossom scent! He keeps a chair in the garden for those early spring evenings to sit and take in the incredible citrus scents! We seem to be kindred spirits! Even a single blossom sends out and amazing scent! Photo with my iPhone 6S.